Open Mon.-Thurs., 11 am-midnight; Fri.-Sat., 11 am-1 am; Sun., 10 am-10 pm. 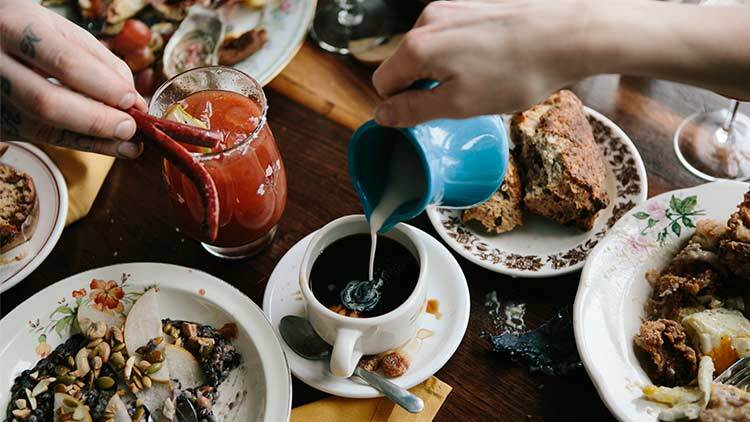 Brunch served Sun., 10 am-2 pm. Happy hour food specials available Mon.-Fri., 3-7 pm and 9 pm-close. 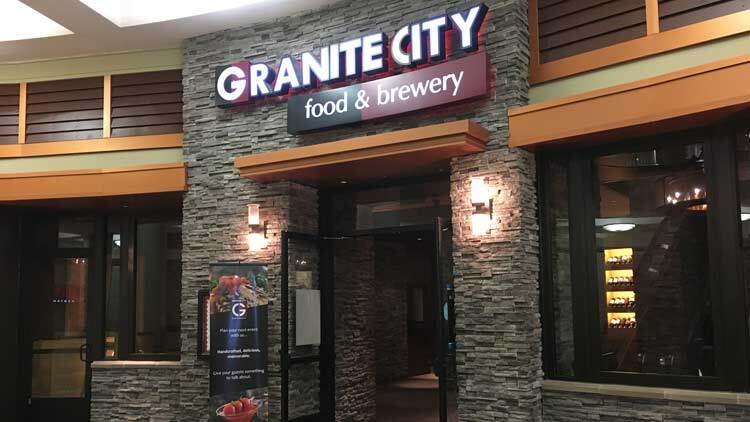 Granite City offers a full menu including lunch, dinner and Sunday brunch, complete with an on-site micro-brewery crafting a variety of award-winning beer varieties. From the beer to the food, everything on the Granite City menu is prepared each day from scratch. In addition to more than 70 homemade menu items, there are also locally sourced ingredients from a produce company and bakery. 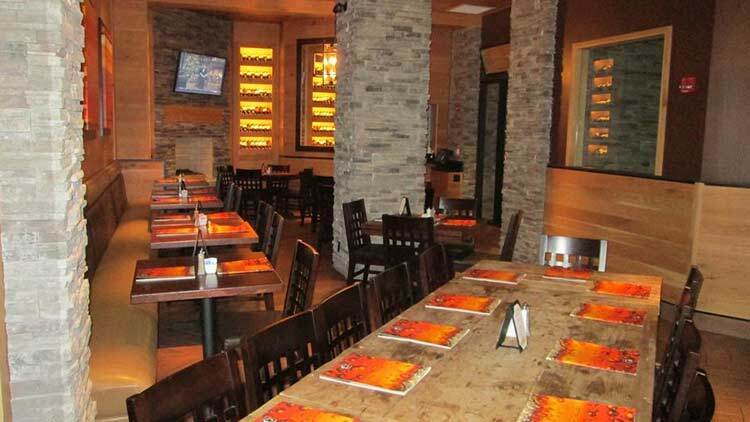 The sophisticated yet unpretentious restaurant, proprietary food and beverages, attractive price points, and high service standards combine for a restaurant dining experience that is quickly making Granite City a favorite. 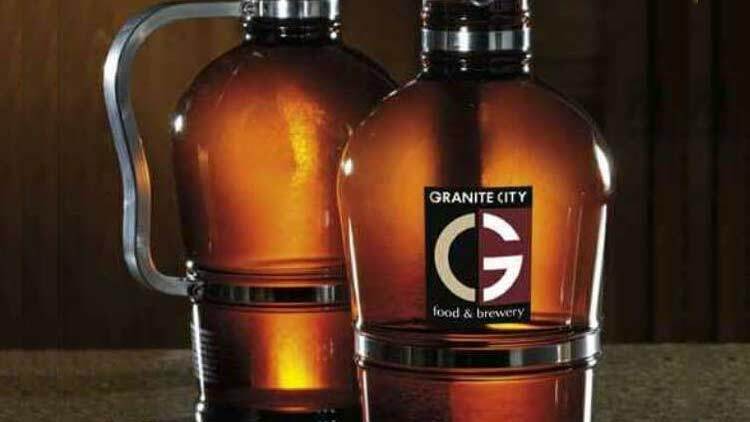 Also known for its brews, Granite City serves signature beers including The Duke (Pale Ale) and The Bennie (Bock). 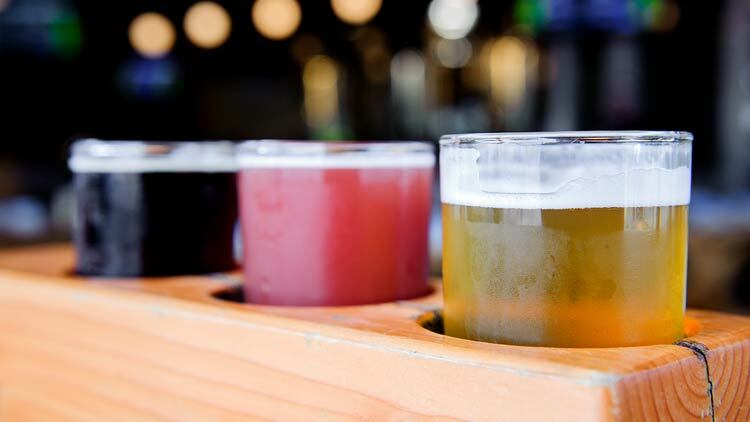 The handcrafted beers--also available in growlers--are moderately priced and offer unique styles and flavors not typically produced by major breweries. The patented brewing process, Fermentus InterruptusTM, makes replicating the same great taste simple and efficient. Beer lovers can also join Granite City's 'Mug Club' and enjoy food discounts and rewards points for special offers. Man do we love March! #IrishFest is goin on at all our locations, the weather is great, the beer is cold. What more would ya want? What's your favorite #IrishFest deal?